Area of Business Manufacture and Sale of connectors for telecommunications devices,industrial equipment,medical equipment, electrical power eqipment measuring devices electronic devices, etc. Approved by ISO 9001 and ISO 14001 Standards. A typical example of expressing the corporate attitude of Nanaboshi Electric is the approval by the International Standardization Organization(ISO) We have established an effective quality control system to ensure confidence of customers in our products,which has resulted in our obtaining ISO 9001 and 14001 approval. Product recognized by UL, CSA, DIN VDE, Standards. 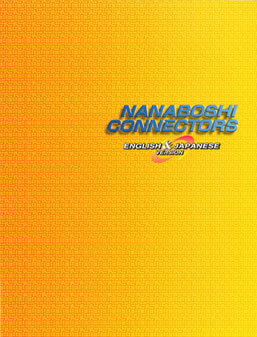 Our company have incessant efforts "Nanaboshi Connectors" to occupy top ranking share. Now,these efforts had born good fruit namely each of NJC NR NET and NJW NRW NEW series various products types have been recognized by UL, CSA, DIN VDE, Standards. With these fruit, our products have stepped forward really as global products. Copyright（C）2013 Nanaboshi Electric Mfg.Co,Ltd. All Rights Reserved.